Is Vinyl Siding Right For Your Home? You have probably heard a lot about vinyl siding and for good reason: this is the material most commonly installed on homes across the US. What drives this incredible popularity is the relatively low cost, especially when compared to other siding materials. Many homeowners who have a fairly tight budget find that vinyl siding strikes the ideal balance between quality, curb appeal and price. It is also a favorite choice among DIYers because unlike many other siding materials, vinyl is fairly easy to install, even if you don’t have extensive prior experience. This guide will take an in-depth look at vinyl siding to help you figure out if its the right material for your home. Compared to other siding materials, vinyl has the lowest installed cost. This single point alone makes it highly attractive to many homeowners. How much should you expect to pay? On average, prices for standard quality vinyl siding range from $4-5/sq/ft installed (does not include tear off). 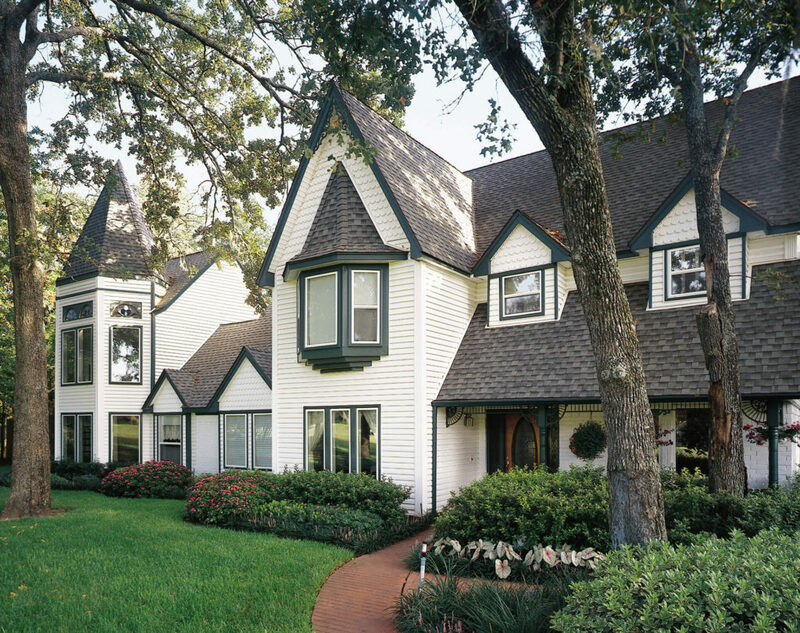 However, premium quality or designer siding will cost more, about $7-9/sq.ft installed. Keep in mind that if you have two-storie house vs a ranch, and any complex architecture, the cost of professional siding installation will go up significantly. We recommend getting 3-4 estimates from local siding contractors to get the best deal on the installation. Does Vinyl Siding Have a Bad Rep? If you start researching vinyl siding on-line, you may come across the fact that many builders, designers and homeowners find that vinyl: “looks cheap”, “paint peels easily”, “warps and becomes cracked”, “can be easily blown off by strong wind”, “colors fade and start to look very worn-out and unattractive only after a few years”. This kind of bad rep makes you want to stay away from vinyl siding, right? In reality, while there is a good reason for this reputation, its not entirely true. The reason why there is a good amount of truth in this bad rap, is that when vinyl was initially manufactured in the early 1950’s (it was created to replace aluminum siding), it did indeed have most of the problems listed above. However, over the years, manufacturers have vastly improved vinyl’s chemical formulation, and have made it into a much more durable, longer lasting and aesthetically appealing material than it once was. At the same time, it is important to realize that not all vinyl is made equal today, and cheaper grades of vinyl will still exhibit many of these issues. Essentially, you will get what you pay for: if you get the cheapest vinyl product, don’t expect it to last or look good. However, if you are willing to pay a little more, you can get decent quality siding with nice curb appeal, at a price that is still lower than other popular siding materials, such as fiber cement or wood. Why is Vinyl Siding a Good DIY Option? When it comes to professional siding installation, it can cost as much as the material itself, making the total cost of replacement rather high. Consequently, many people who are looking for major savings, choose vinyl siding, because in addition to saving on the material, they can save on installation by doing it on their own. Vinyl siding is considered to be the easiest material to install DIY. You can just walk in to any big box home improvement store, such as Lowe’s or Home Depot and purchase vinyl siding. They also have a starter kit that you can use for installation, which means that there is no need to spend money on expensive tools or special equipment. You can also purchase vinyl siding from suppliers (they will have more color options) or on-line, from sites like Build Direct, which can offer even greater savings on the siding itself. Because vinyl is so popular among DIYers, there are many videos and tutorials available on line, with step by step instructions you can follow to do your own install. 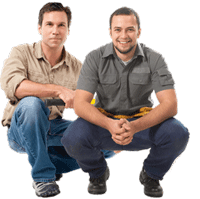 Finally, because installation is straightforward and fast, you have the option of hiring a handyman, rather than a licensed professional contractor for the install. Typically, a handyman can charge 40-50% less for their labor than pros. This can be a good alternative if you are looking to save money, but don’t feel comfortable doing the installation yourself. If you choose to go this route, its important to hire someone you trust can do quality work. Still, you should realize that a handyman’s siding installation job may not be of the same quality as that of a pro. If you want your vinyl siding professionally installed, it will still cost you less than other materials. As mentioned before, no special equipment is required, and the siding can be put up much faster than other materials. 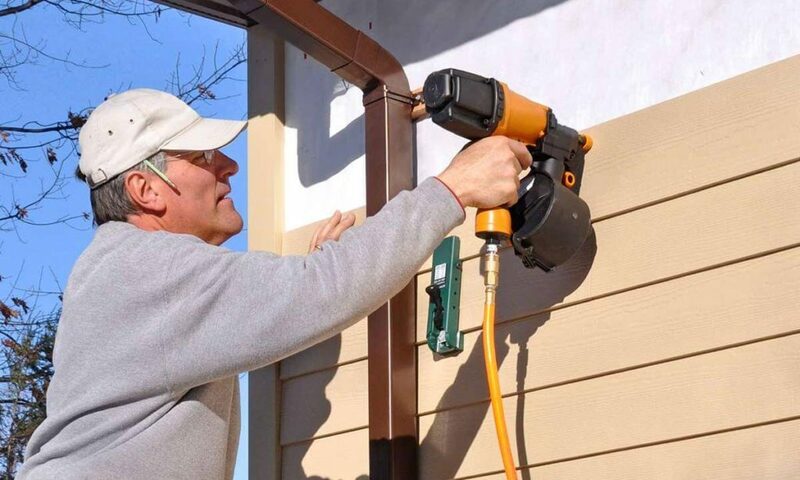 Moreover, time is also saved because there is no need to paint or stain vinyl siding, which is often a necessary and labor intensive part of installation of many wood siding products, as well as some fiber cement products. Whether you are looking to install siding on a new construction home, or replace old siding, curb appeal is of utmost importance. After all, siding is what most people notice first, when they see your house. In terms of looks, vinyl certainly does not disappoint. 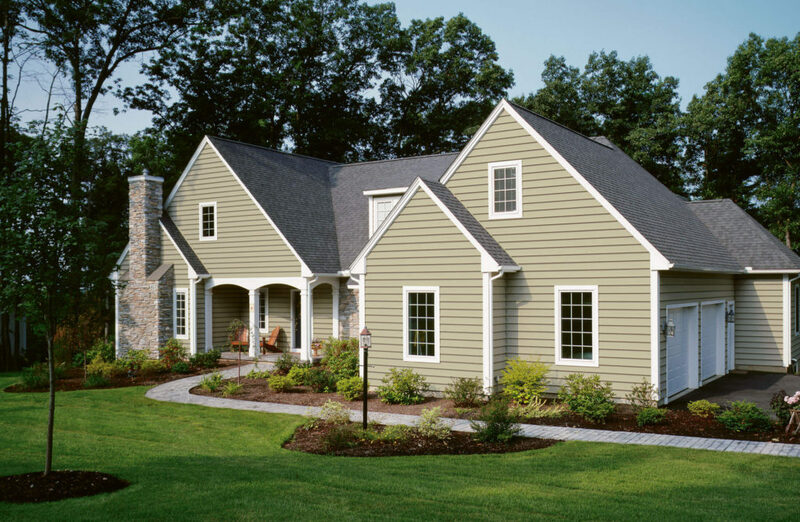 Thanks to advancements in technology, vinyl siding is available in an almost endless array of colors and styles. High-end grades of vinyl siding can closely replicate the look of more expensive materials, such as wood. Custom color and style options are also available for an extra cost. The bottom line is that you can get a really great looking vinyl siding product, that will not look cheap at all, and it will still cost you 20-30% less than other premium siding materials. If you are looking for the most durability you can get out of vinyl siding, you should go with boards that are thick (these will be more expensive). Thin boards are a lot more likely to warp and will be blown off by strong wind easier than than thicker boards. Durability also depends on the chemical composition of the material, which is not available to the public. The best way to gauge durability is to carefully read the manufacturer’s warranty. One of the greatest disadvantages of vinyl siding is that eventually, after about 10-15 years even high quality vinyl siding will begin to fade, and the change in color will be noticeable. Cheaper quality vinyl will fade even sooner. You can fix this issue by painting the siding, but this would defeat the purpose of installing it in the first place, so that you wouldn’t need to bother with painting. Another issue with fading is that if you need to repair a few boards, you may have a hard time matching the new boards to the old ones, because the color has faded. In this situation, contractors recommend getting boards from less visible areas of the house to match the color of the ones being repaired (especially if they are in the visible part of the home) and purchasing similar color boards for the less visible area. One of the greatest advantages of vinyl siding is its relatively low maintenance. All you really need to do is keep it clean, and periodically wash off dirt, mold and chalky oxidation that collects on the surface. Repair is also very easy, as you can simply take down the broken vinyl board and replace it with a new one. Any handy homeowner can do this without trouble. Compared to wood siding, which needs to be regularly maintained, and painted/stained every couple of years, vinyl is ideal for homeowners who want to invest their precious time into other activities. 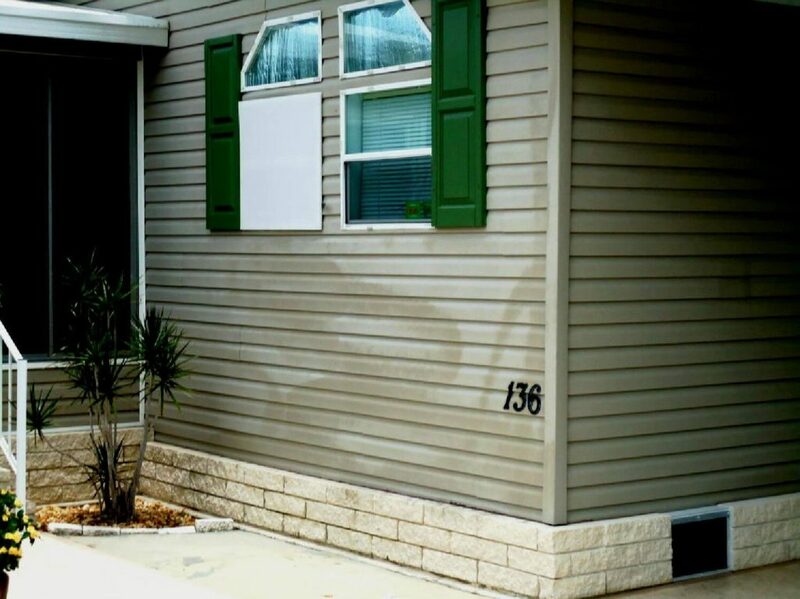 If you consider yourself to be an environmentally-friendly person, vinyl siding is probably not for you. This is because when vinyl burns, it releases toxic chemicals, which are hazardous to the environment and to our health. Additionally, vinyl siding cannot be recycled, and the only way to dispose of it is by taking it to a landfill.